Our coaches are not only CrossFit certified and experienced trainers, but they’re also avid “CrossFitters” themselves. Every one of our coaches believes strongly in living the life we promote at CrossFit 515. Bobby was born and raised in Des Moines, Iowa. Bobby graduated from Valley High School and from Drake University in the Spring of 2011 with a degree in Economics from the College of Business and PublicAdministration. Bobby comes from an athletic family and has been active his entire life. Growing up Bobby played any and every sport that he could, and while in high school he won state championships in both football and hockey. He then went on to play Division II college football. After his sports career, Bobby has continued to keep health and fitness a high priority in his life. He has always had a passion for sharing his knowledge on health and fitness to anyone that would listen. Bobby believes he has truly found something special in CrossFit, and like most, only wishes he had found it sooner. He loves to train, he loves to teach, and most importantly he loves CrossFit. 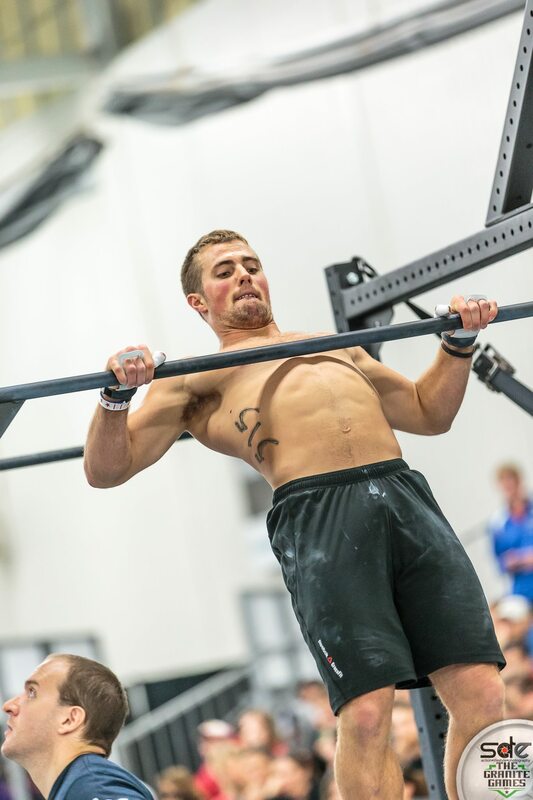 Bobby qualified and competed as an individual at the North Central Regionals in 2011, 2012, 2014 and 2015. He competed at the Central Regionals in 2016 and 2017 as well. Bobby competed in the CrossFit Games in 2013 as part of team 515. Kady is originally from Omaha, Nebraska. She competed in gymnastics from the age of 5 all the way through high school. Kady found CrossFit 515 in the Spring of 2012. 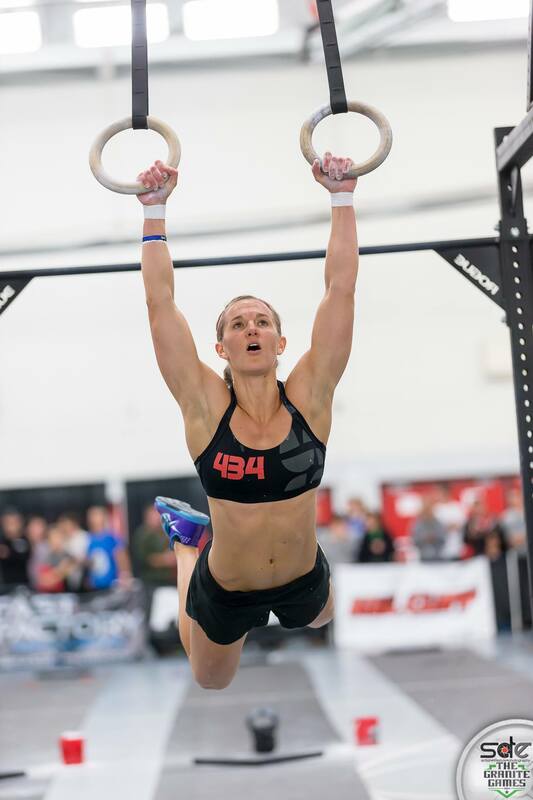 Kady competed on Team 515 at the 2013 CrossFit Games and placed 11th as an Individual at the 2014 North Central Regionals. Kady and Bobby live in Grimes with their 2 boys, Atlas and Oakley. Annette grew up in Norwalk playing a variety of youth sports recreationally and fondly recalls the years of dance lessons. While raising three sons, she enjoyed being active with them and encouraged their involvement in sports. For many years, her main form of “exercise” was a Nordic Track ski erg and calorie-burning DVDs she could do at home . 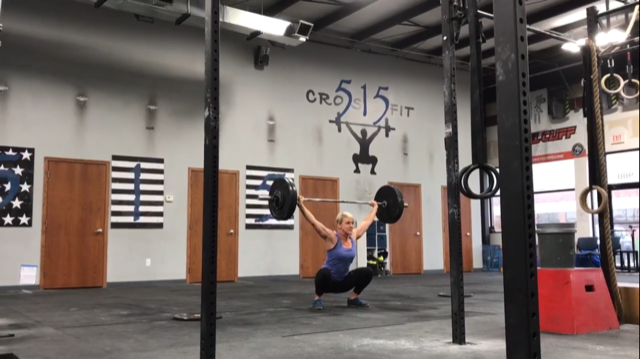 Envious of the strength and ease her sons showed when playing she decided to join Crossfit 515 in 2011 as a 40th birthday present to herself with one goal: a strict pull-up. (She got it!) 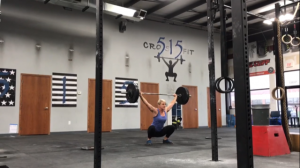 After experiencing how effective and fun this type of training is – she wanted to help others do the same and earned her CrossFit Level 1 Trainer designation in 2015. She is motivated to learn and seeks to understand the “why” behind what we do. She can be counted on any time she is in the gym to offer advice and encouragement to others and is known in our community for her Eat Real Food approach to nutrition. Jaime is very passionate about sports and has been involved in them all her life. Growing up in West Des Moines, she played many sports at Valley High School, including tennis and cross-country, and she played Division I collegiate tennis for the University of Northern Iowa. She graduated from UNI and before training at CrossFit 515 full-time, she worked as an actuary at Nationwide Insurance. She also enjoys running and before finding CrossFit she completed the San Francisco Marathon as well as a number of half marathons and triathlons. Jaime has found in CrossFit something very exciting that she wishes that she had known about when training for her past sports, like tennis. 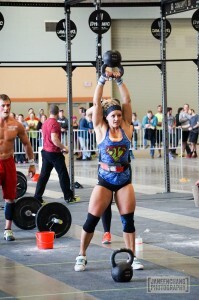 Jaime competed on the CrossFit 515 Regional Team in 2011 and as an individual at the 2012 North Central Regional, finishing in 6th place. 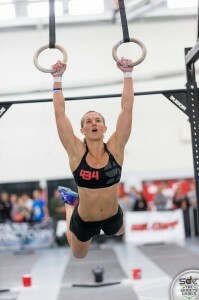 Jaime competed in the CrossFit Games in 2013 as part of team 515.